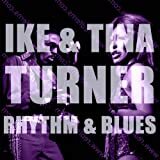 Ike and Tina Turner were inducted into the Rock and Roll Hall of Fame in 1991. A charismatic bandleader and an unbridled whirlwind of sexual energy formed one of the most formidable live acts in history. All of our books on Tina Turner can be found here. 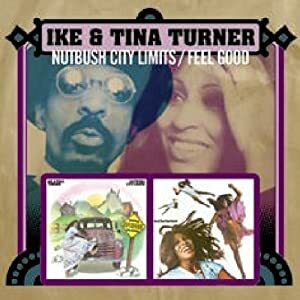 All of our audio by Tina Turner can be found here. All of our video of Tina Turner can be found here. Ike and Tina Turner on Beat Club performing "Proud Mary"
These archival materials can be requested by appointment. Video from the Rock Hall YouTube channel. Mick Jagger, Tina Turner, and others perform "Honky Tonk Woman" at the 1989 Hall of Fame Inductions. Mick Jagger, Keith Richards, and Ron Wood perform with Tina Turner and others on "(I Can't Get No) Satisfaction" at the 1989 Hall of Fame Inductions.